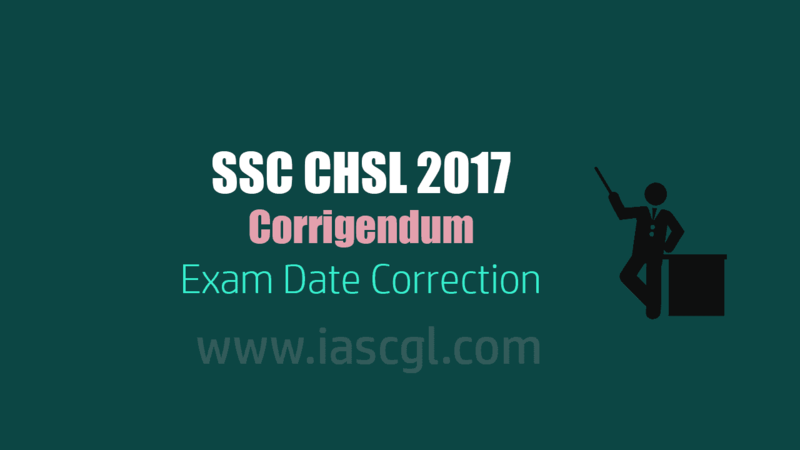 Staff Selection Commission has released a corrigendum for Combined Higher Secondary Level Examination(10+2). In corregendum SSC Notify that. Attention of aspirants of Combined Higher Secondary Level (10+2) Examination-2017 is invited to the “Annual Calendar of Examination (Tentative) to be held during the year 2018-19 (upto March 2019)” published on the website of the Commission on 01.02.2018.